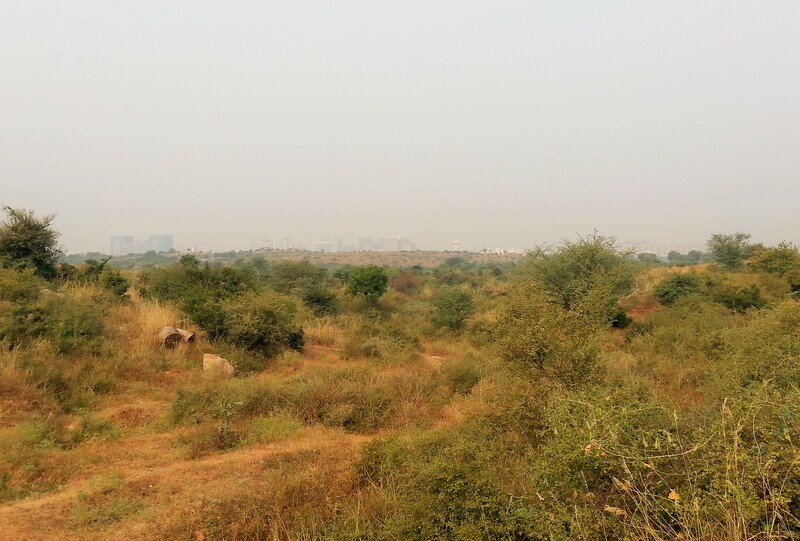 It is a known fact that Gurgaon is a concrete jungle. 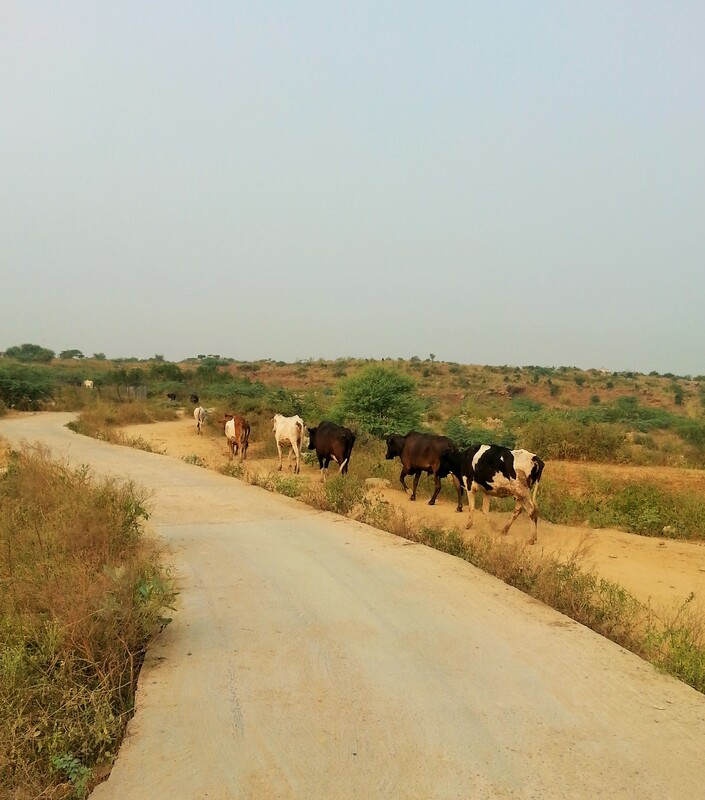 What is often not mentioned is that even amidst the dry and reddish brown topography and glitzy, tall buildings, Gurgaon has preserved huge tracts of greenery. 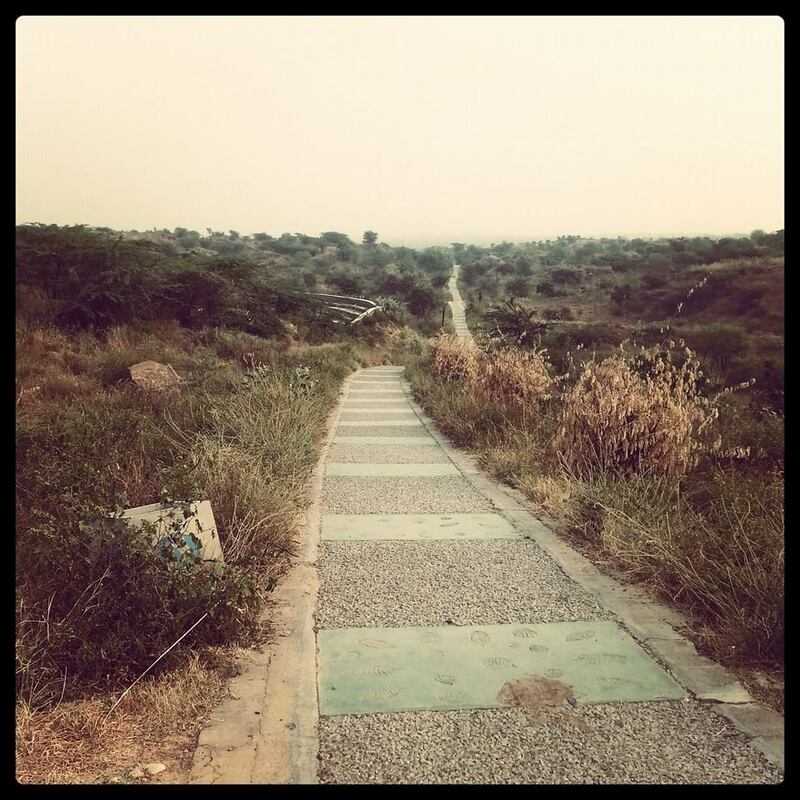 In our quest to add more exercise in our daily life, MH and I landed up at Aravallis Biodiversity Park one Sunday morning. Located a few metres from Guru Dronacharya metro station, the park has little bio-diversity but lots of open space, including a beautiful jogging track zigzagging through the vast fields of mainly shrubs and bushes. 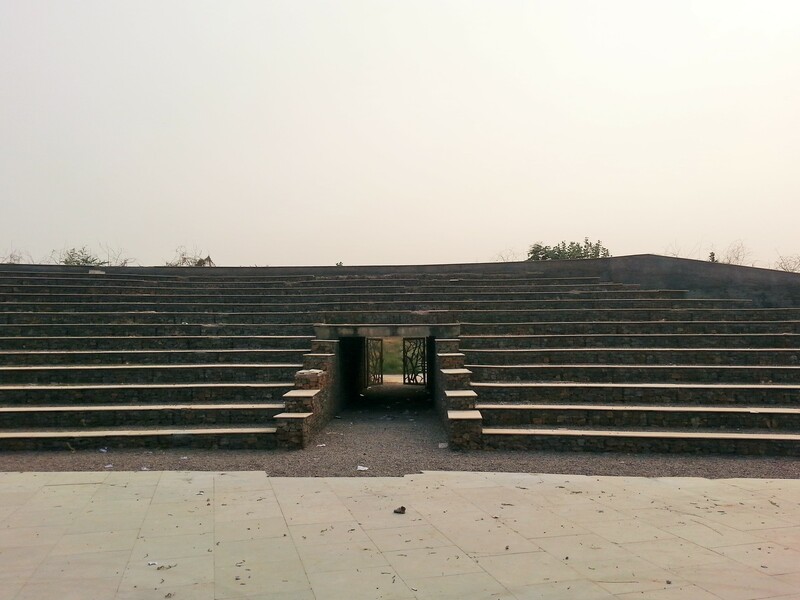 We also found an amphitheater, which has recently hosted live music shows. A number of times, our morning jog were interrupted by the slow procession of these beasts. I am particularly scared of them, having been chased by one during my childhood. So whenever they passed by me in extremely close quarters, I shut my eyes and prayed to the Almighty. 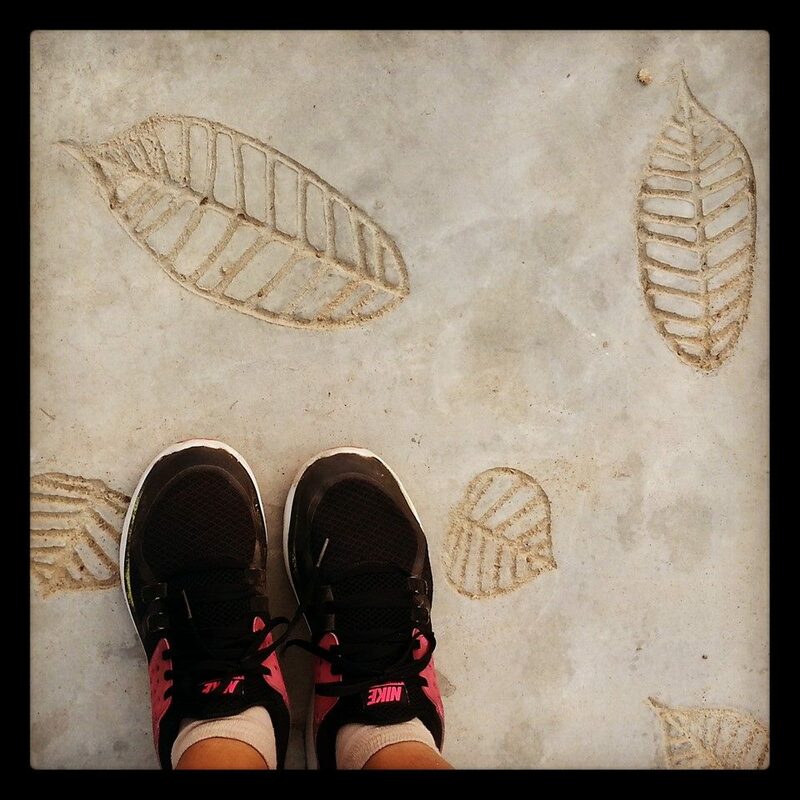 The concrete jogging path had these leaf patterns, which added a little beauty to an otherwise grey landscape. 1. It is safe to follow the trail, unless you are an adventurous soul like us. 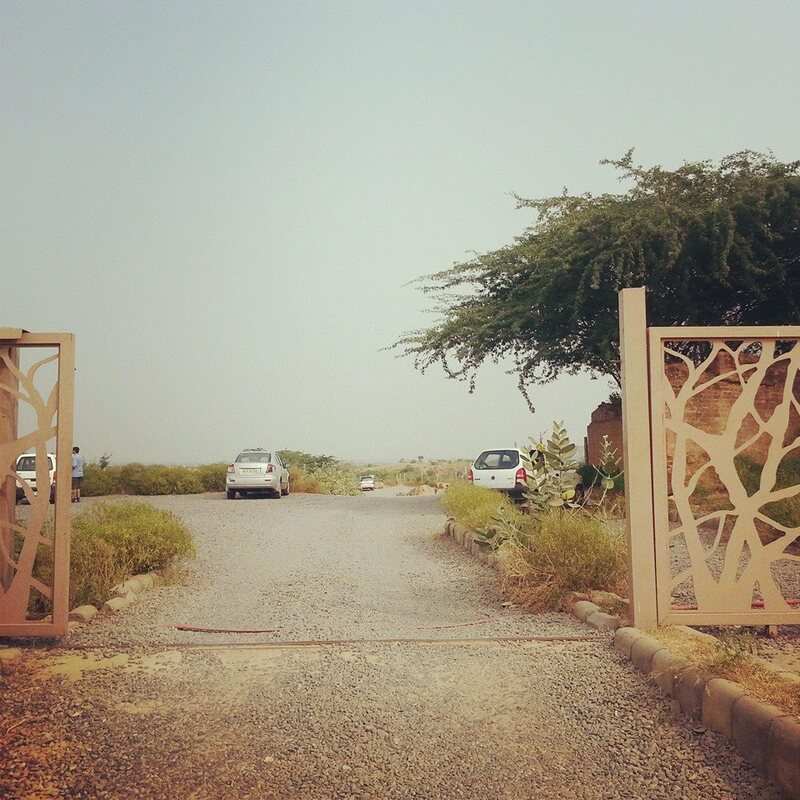 We deviated from the trail and found ourselves in DLF Phase III! It meant an additional 30 minutes walk back to the gate where the car was parked. 2. There is a small temple inside. Even if you are not the religious kind, you will love the no-frills, lovely abode of God. 3. There is not much biodiversity to spot. However we visited the park a few months ago, so this information may be outdated. 4. It was good to see the amount of effort the authorities have put in to preserve this huge tract of greenery in a real-estate hub like Gurgaon. So please do not litter. All images have been taken by me with my Galaxy Note II and cannot be copied by anybody for any purpose whatsoever without my permission. I had no clue. .and I ma sure my cousins who live in gurgaon also don’t know.